Dr. Lea Ann Moricle is the medical director of the outpatient mental health clinic in Gaithersburg, MD. She received her medical degree from Marshall University, completed her residency training at Georgetown University Hospital, and had fellowship training in schizophrenia research at the Maryland Psychiatric Research Center. Dr. Moricle has been a part of the Sheppard Pratt team for many years; prior to beginning her role as medical director, she served as a psychiatrist at Behavioral Health Partners of Frederick, and was a team psychiatrist at the Frederick-based Assertive Community Treatment (ACT) program; she also served as an outpatient clinic psychiatrist and consultant for the Frederick-based psychiatric rehabilitation program. 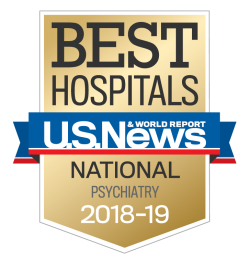 Dr. Moricle also has extensive experience in working in collaboration with psychiatric rehabilitation programs like Montgomery Station, and works as a psychiatrist with OnTrack Maryland, Sheppard Pratt’s first episode psychosis program. Dr. Moricle is board certified in general psychiatry.